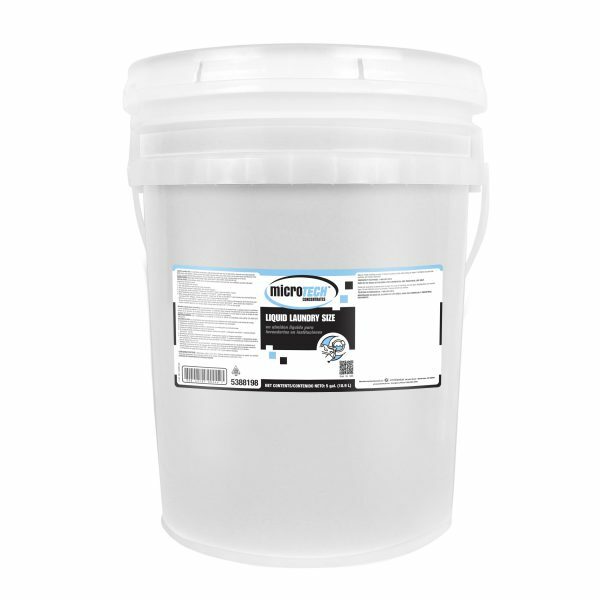 MicroTECH™ Liquid Laundry Size is a synthetic sizing that is utilized during the final rinse. It adds body to polyester and cotton/polyester table linens and napkins. Linens must be thoroughly cleaned during prior wash cycles, as oily soils reduce the efficiency of the sizing. It is essential that this product be used as directed, as misuse may cause a sizing buildup in the linens.